Flint, Michigan lies in the literal shadow of Detroit, and photographer Brett Carlsen describes it as “the fast forward version” of the Motor City. Carlsen has seen first hand, through the lens of a camera, the violence, poverty, and economic ruin that has washed over what has statistically become the most violent city in America. Carlsen witnessed the implications of this kind of violence as an intern for a local newspaper; drawn to the images of vacant buildings, generations of people, and glimmers of hope, he decided to take a closer look. “Welcome to Flint” is a photo project that closely examines Flint, Michigan and the people who call it home. Carlsen conceptualized the project, and worked with friend and fellow photographer Juan Madrid to capture the images that best depict the essence of Flint. The images, every single one, are striking and tell the poignant story of a city that has been worn down by violence and economic hardship. Abandoned buildings are common in Flint. The photographs that follow include portraits of Flint residents engaged in a number of scenes. One depicts a tense domestic dispute with police officers armed with rifles; another captures four women in a hair salon. 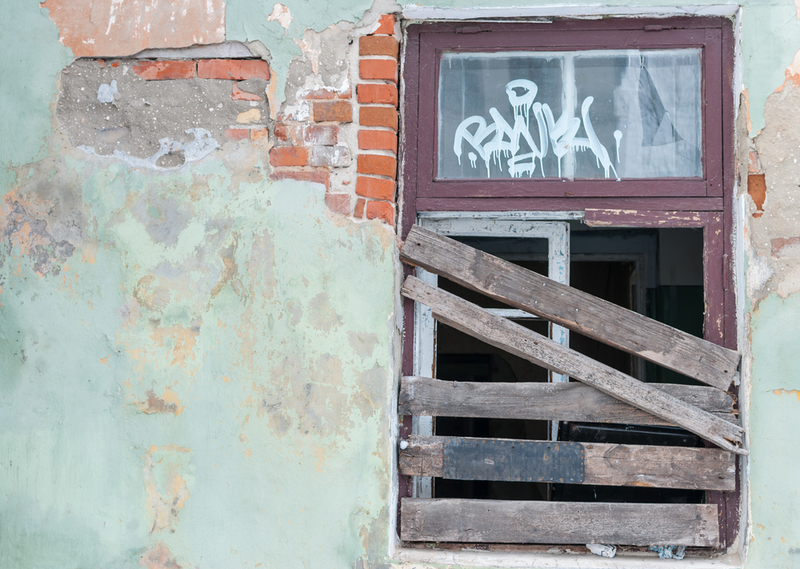 Some of the images don’t have people in them at all, but abandoned homes and commercial buildings, their paint chipped and boards nailed haphazardly to doorframes and windows. In Carlsen and Madrid’s photographs you’ll see gang activity, drugs, and a quiet, eerie brokenness in the city’s scenery. However, you’ll also find some photographs that beautifully capture the resiliency of the human spirit. There are photos of families in church together, young people watching fireworks side by side, and parents holding their children protectively. Madrid has said, “The project has become more about telling a nuanced story, one that tries to paint a broader portrait of a city that has hit hard times with no clear way of moving forward.” The collaborative team has tactfully captured remarkable, honest moments in “Welcome to Flint,” a project that explores a city engulfed in hardship, with residents who continue to endure.